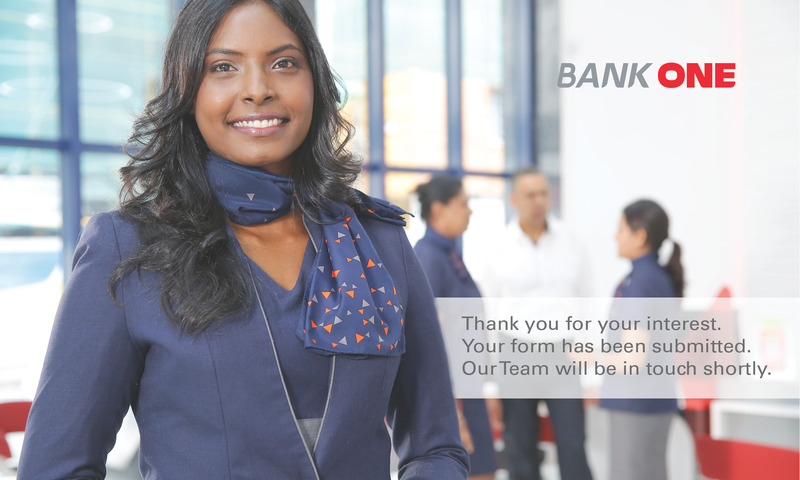 Ravneet joined the Bank as CEO Designate on the 14 October 2013 and took over the position of Chief Executive Officer of the Bank as from the 01 January 2014. His profile is provided under Directors’ Profiles. 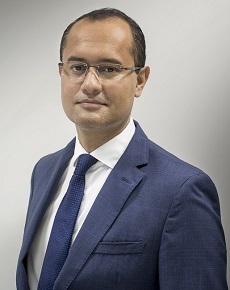 Saleem joined the Bank in December 2017 and assumed the office of Chief Operating Officer for Bank One since March 2018. He holds a Bachelor in Business from Karachi University and a Masters in Business Administration from Institute of Business Administration, Karachi, Pakistan. He is a career banker with in depth exposure and extensive experience at the senior management level covering the entire banking operations (credit, operational risk management, administration, information technology, payments and retail banking). Most recently, Saleem was Chief Operating Officer for Absa Cards and Payments business, Chief Operating Officer for Barclays Bank Egypt and Regional Head of Operations for Emerging Markets. His career spans over 25 years in over 24 geographies in Asia, Middle East & Africa for Barclays and Citigroup before joining Bank One. 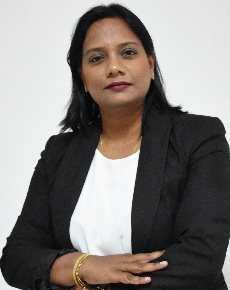 Fellow of the Association of Chartered Certified Accountants and a registered Professional Accountant with the Mauritius Institute of Professional Accountants, Ranjeeve also holds an MBA with Finance from Herriot Watt University. He has more than 20 years of extensive experience in the banking sector having worked in different departments at Union Bank, First City Bank, SBI (Mauritius) and Deutsche Bank (Mauritius). 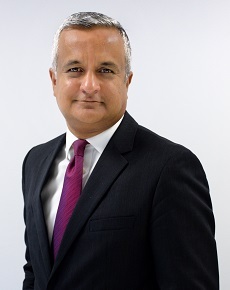 He joined Bank One in 2008 as Financial Accountant and after being subsequently appointed as Finance Manager, Ranjeeve was promoted as Chief Financial Officer in August 2014. Stephen holds a Bachelor of Commerce and a Master of Commerce degree specializing in Financial Management. Stephen is also a certified member of the Institute of Bankers of South Africa and obtained an Associate Diploma from the Institute. Before joining Bank One, Stephen has had twenty years’ experience in risk management in the South African banking and investment industries, with his previous responsibilities being Deputy Head of Credit at Sanlam Capital Markets Proprietary Limited. Stephen joined the Bank in November 2014 as Chief Risk Officer. Fareed Soobadar is a Fellow of the Chartered Association of Accountants (UK) and an associate-ACIB of the Institute of Financial Services (UK). He has more than 19 years of work experience in the financial services industry, having worked in auditing, accounting, offshore, HP financing, and including 14 years of banking experiences gained at senior management level. He held several key positions in various organisations over these years namely KPMG, Deloitte, HSBC, AAMIL, Barclays and before joining Bank One, as corporate director at Banque des Mascareignes. He also had international exposures with ABSA, Barclays Dubai, and Barclays, where he worked principally in the credit field. Fareed was appointed Head of Corporate Banking in February 2015. Rishy holds an ACI Diploma and a BBA from Management College of Southern Africa. Before Joining Bank One in February 2014, he worked for 26 years in the Treasury division of the State Bank of Mauritius, where he covered different desks such as sales, interbank and fixed income desk and acquired a comprehensive knowledge of the Mauritian and Malagasy market. Rishy held the post of Chief Dealer prior to leaving SBM. Valerie holds a Bachelor of Law and was called to the Bar in 1995. Before joining Bank One, she held the function of Claims Manager at La Prudence Mauricienne Assurances and Swan Insurance Co Ltd respectively, thereby acquiring a strong experience of 13 years in the insurance sector. She joined the Bank in July 2008 as Head of Credit Administration and also acts as internal legal adviser on legal matters pertaining to the affairs of the Bank. Guillaume is an International School of Management (IDRAC) graduate who has spent his entire career in the banking sector. He started off as a Portfolio Manager at B*capital Paris, the BNP Paribas brokerage house in 1999. In 2007, he was appointed as Head of Sales at BNP Paribas Personal Investors Luxembourg. He joined AfrAsia Bank in 2014 with a strong focus on the European market and was subsequently appointed as Head of Private Banking. He brings to Bank One a wealth of experience in dealing with High Net Worth individuals. With over 20 years of experience in the human resource field, Priscilla is a seasoned Human Resources professional who is skilled at partnering with senior management teams to develop and execute strategic HR plans aligned with organizational objectives. She brings to the table her expertise in managing the full employee life-cycle and engaging with employees. She holds a Master in ‘Administration d’Entreprises’ from the University of Poitiers, France. Prior to joining Bank One, Priscilla has worked across regional and global corporations such as DCDM Consulting (Managed by Accenture) where she was responsible for HR-related consultancy assignments for a portfolio of clients in various industries including banking. Her assignments were conducted both in Mauritius and regionally (i.e. Madagascar, Kenya, Tanzania, Zambia, Djibouti, among others). From 2011 to 2014, she was heading the HR department at Bramer Bank before moving to GroFin in January 2015, a development financier specialising in financing and supporting small and growing businesses (SGBs) with 16 offices across Africa and the Middle East, as its Chief HR Officer. Priscilla joined the Bank in December 2017 as Head of HR. Shehryar is a seasoned banker with over 16 years of experience at Citibank, Barclays and more recently Mashreq Bank Egypt as Head of Assets, Personal Banking and Acting SME Head since 2016. Shehryar is a graduate of University of Texas at Austin in Computer Sciences. Over his career, Shehryar has successfully managed Credit Cards Issuing/Acquiring, E-commerce, Personal Loans, Personal Banking and SME Business. Shehryar joined Bank One as Head of Retail Banking in May 2018. 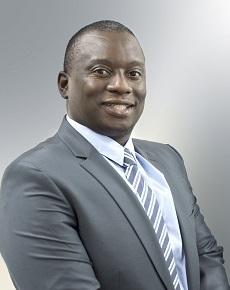 Carl is a seasoned Pan-African banking executive with a special focus on corporate banking, structured trade and commodity finance, project finance and financial advisory services. He has developed deep networks on the subcontinent through 19 years of proven track record of origination, structuring and executing of large ticket strategic transactions across a wide variety of sectors in over 26 African countries. A Fellow Chartered Accountant with a BSc Applied Accounting, Carl was previously Head of Trade Finance at Citi for the Sub Sahara Africa region.